Use these steps to Opt-in your tenants to receive texts. 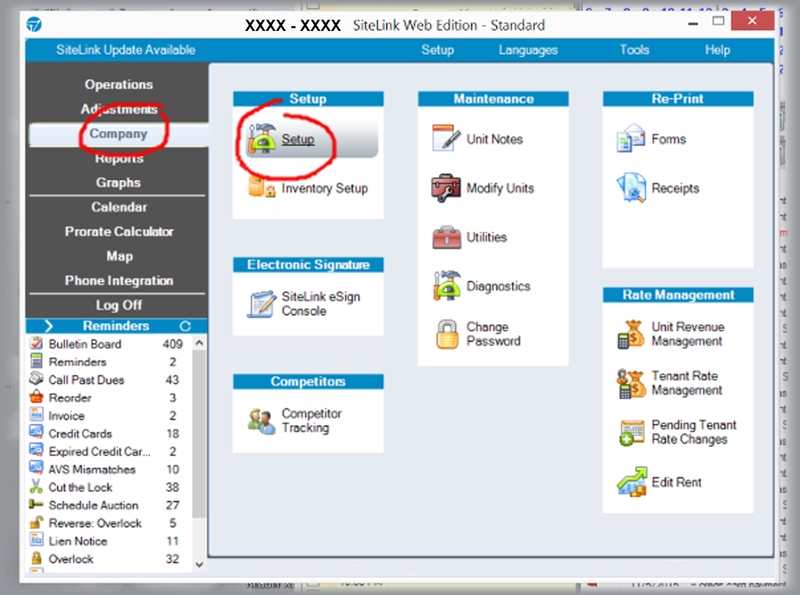 Login to Sitelink web edition. Click on "Company", then "Setup". 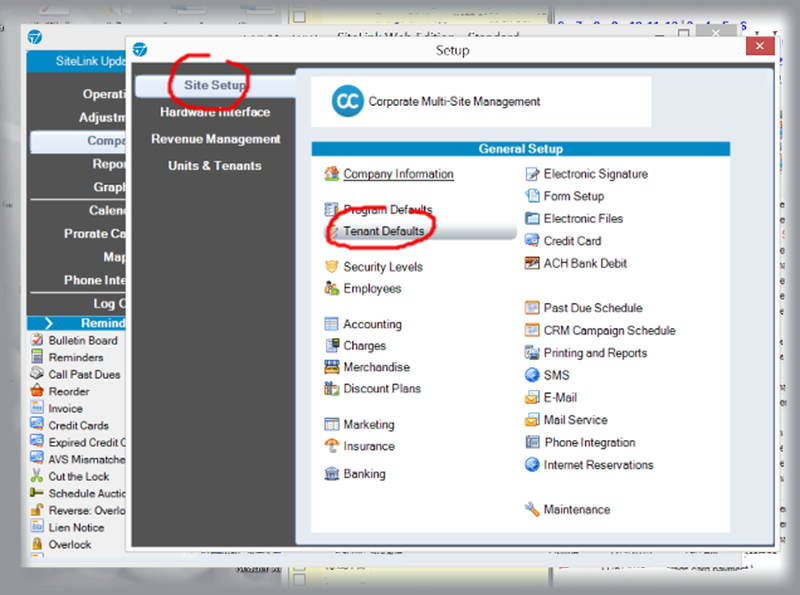 Under "Site Setup", click "Tenant Defaults". Check the box for "Mobile Phone". Enter "001" for the "Mobile Country Code". Check the box to "SMS Opt in". 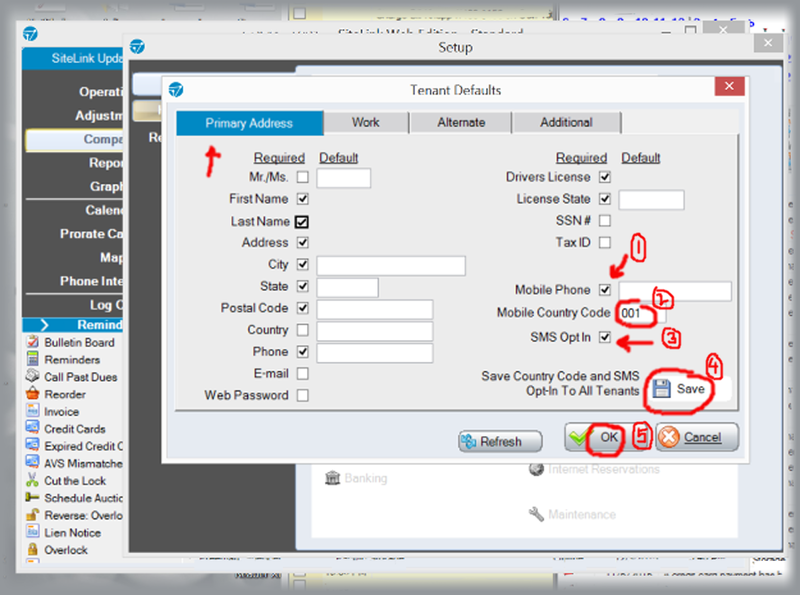 Click "Save" for "Save Country Code and SMS Opt-in To All Tenants". Click "OK" and then exit out of the software.